What To Look Out For When Buying A Used RV? Buying a used RV is a great way to save money, especially on today’s sophisticated models that often demand top dollar. As with any purchase of a used item, though, consumers need to be astute to ensure they’re getting a good product, a great value, and a long-lasting RV that will stand the test of time. When inspecting an RV that might be for sale, be sure to watch out for the following items that could seriously affect its price, value, longevity, and overall quality. One of the most common problems that affects RVs is damage done either by the weather or by a leaking hose somewhere within the vehicle. Water damage is actually pretty easy to spot, and consumers should keep an eye out for discolored walls, water stains on the carpet or other linens, and countertops that look like they’ve been used a bit too hard. Water damage is not only quite common, but it’s also a major reason that RVs lose their resale value. Eliminate this potential headache right away. The “three M’s” to avoid when buying an RV are pretty clear. Moisture problems, especially non-airtight exterior panels, loose windows, and older construction, can lead to major problems. Some RVs end up becoming a home for mold between the external layers of the vehicle, while mildew can begin to grow around sinks, showers, and other areas where moisture comes into the vehicle. In addition to being a major allergen for some buyers, these “three M’s” can lead to unpleasant odors and aesthetic deformities in the cabin. Always look for existing mold or mildew spots, as well as for evidence that such spots have been removed at least once before. The whole reason for buying a used RV is to take it camping, so it’s important that prospective buyers see the vehicle in “camping mode.” Make sure that the RV is plugged into an electrical source, that its water is working, and that the standard features associated with the model are flawless and functional. If a seller can’t guarantee and demonstrate that everything is in working order, then it might be worthwhile considering a different used model that can provide those assurances. Everyone likes to buy a low mileage used car or RV, but this can also represent a source of concern. Why is the RV being sold with such low mileage? Did it sit unused for months or years at a time? Is it a lemon? Are there other concerns that will show themselves only after the purchase has been made? 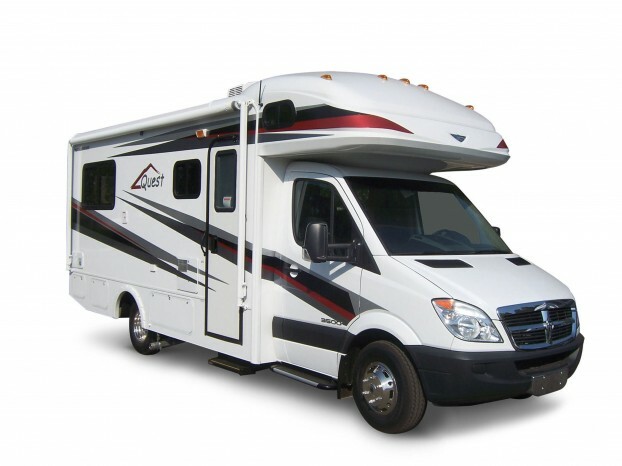 Be sure to inquire about the mileage when seeing the RV in person, and ask the seller about low mileage if relevant. It may simply be that they cannot afford the RV, or that they don’t use it as much as possible. Those reasons are legitimate, and they’re a good way to determine that the RV is not defective, problematic, or poorly maintained. Consumers buying a used RV need to keep an eye out for the smallest detail when they see the vehicle. From mold and mildew spots to evidence of water damage, and from low mileage to working lights, these details will determine whether the vehicle is a viable, long-term purchase. If any of these smaller details isn’t absolutely right, it’s worth passing over the vehicle for another used model elsewhere. Andy’s RV enables him to just take off whenever and wherever he wants, together with the whole family. If you are interested in becoming a happy camper, you should pay good attention to details on used RVs. You can check out more of hiw writing on the blog he writes on.